There is something about the doings of a three year old little boy that just puts life in perspective sometimes. Especially when the little boy is named Ellis and he's smart as a whip. Ellis is my grandnephew...the grandson of my brother. 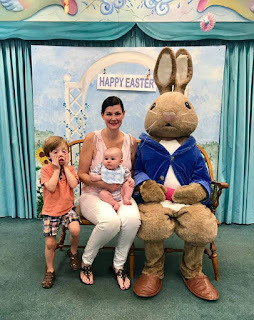 He is pictured here with his mother, his baby brother and the Easter Bunny. 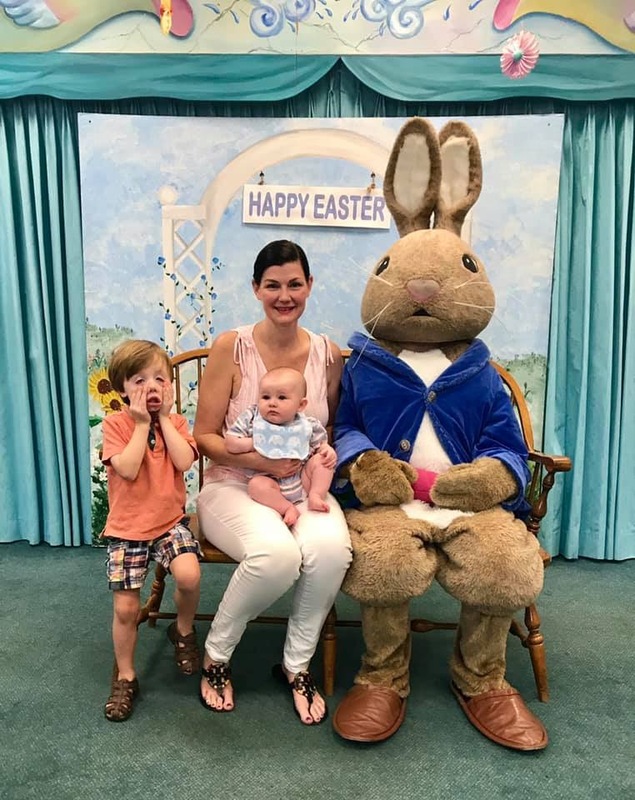 Ellis' facial expression, assisted by his hands, tells everything we need to know about his opinion of this giant dressed-up fake rabbit. Obviously, this photo op was his mother's idea. I'm told he didn't want to sit beside the rabbit. 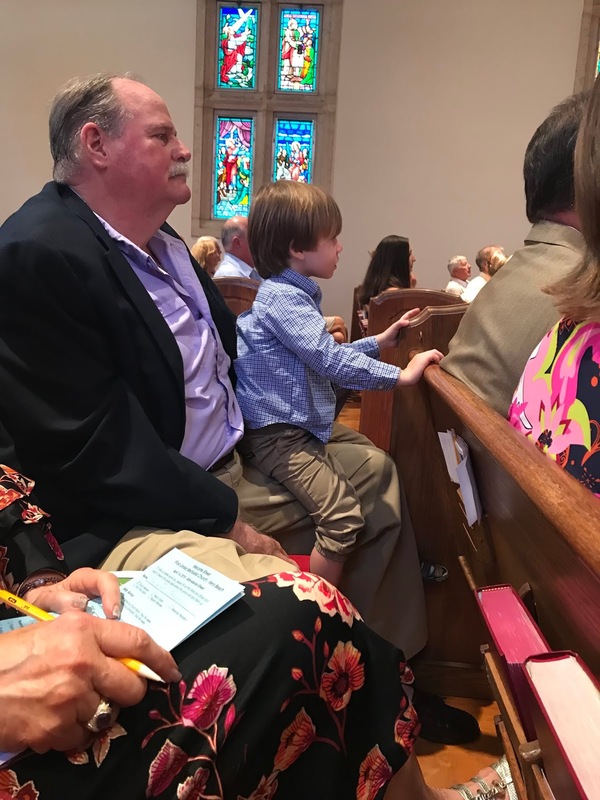 He was catching every bit of the performance of the children's choir. When it was done, he came to sit next to me for the Pastoral Prayer. At the end of the prayer, the congregation recites the Lord's Prayer. That little three year old said every word exactly right. It was my favorite moment of the day...a Faith Breeze for sure! What a way to start Holy Week.